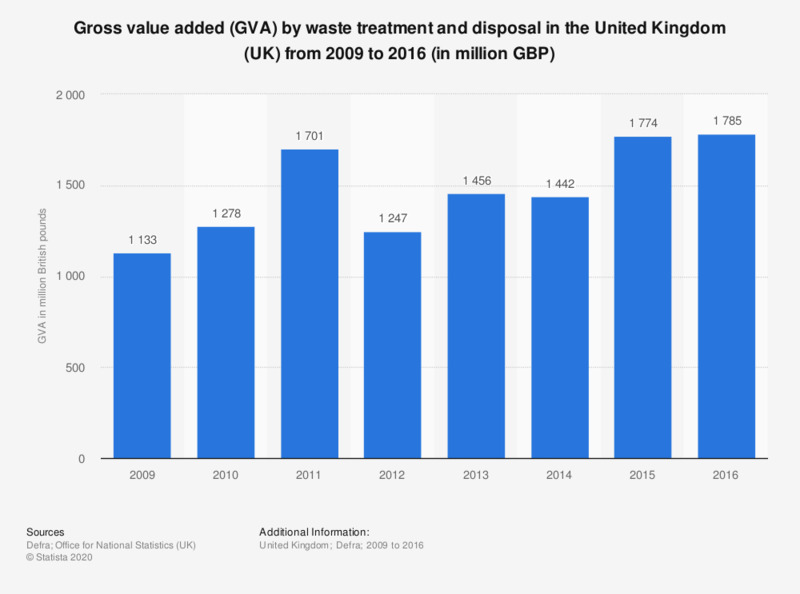 This statistic shows the gross value added (GVA) by waste treatment and disposal in the United Kingdom (UK) from 2009 to 2016. The GVA in 2012 was 1.2 billion British pounds, which was significantly lower than the 1.7 billion British pounds in the previous year. In 2016, the GVA amounted to approximately 1.8 billion British pounds. According to the source, the numbers are adjusted to 2016 prices.